T.I. 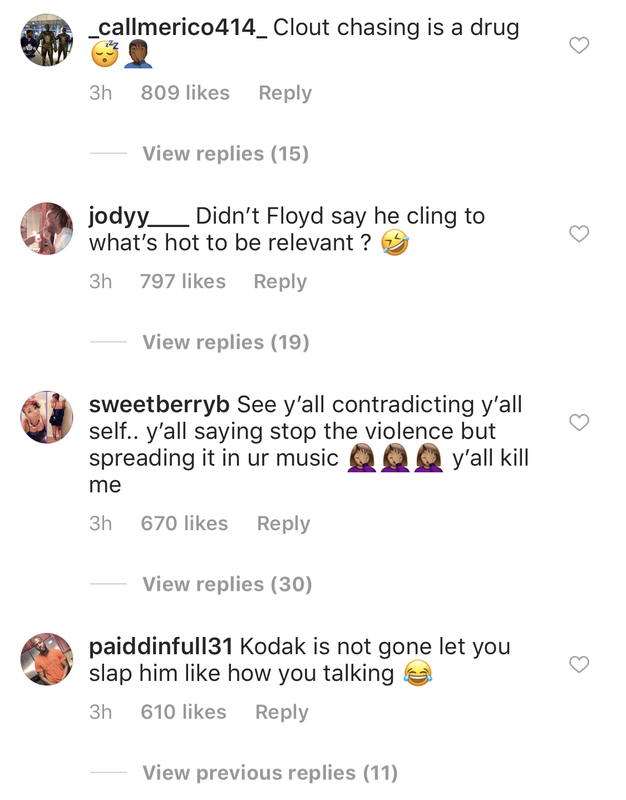 and Kodak Black fizzled out, but Tip may want some smoke! (AllHipHop Rumors) T.I. is one of the best Hip-Hop has ever produced. The KANG of the South. He has morphed into an activist and a voice we can all count to speak truth to power and then some. And can also speak truth to the powerless, ie Kodak Black! Tip and KB had an issue with each other after Kodak made some disrespectful comments on IG live. Well, Tip wasn't feeling it and he let his views known. And then Kodak let his views known. And they kept going back and forth on social media until we all yawned. AND NOW THIS. T.I. previewed a new song where he apparently takes shots at Kodak Black! Why would he? Kodak Black is basically special needs and certainly not somebody that can "spar" with Tip lyrically. Furthermore, we have pretty much moved on past that whole thing. Now, I can see why Tip has not. He was disrespected in public by a dude that likely failed his special ed wood shop class. I don't think this will go over well if the song actually comes out. I think that T.I. will get the message and just leave it alone.As much as "we" may not like a Kodak Black...there is a generation that does. We cannot keep on being divided along generational lines. have you actually listened to kodak's lyrics? because im pretty sure TI has nothing on him. He is an opportunist that defended Iggy the failure while she stole black peoples whole culture. We will not have it. He is forever an Uncle Tom and Kodak is an ignorant slave. Opportunity meets ignorance. 2 greedy clowns.